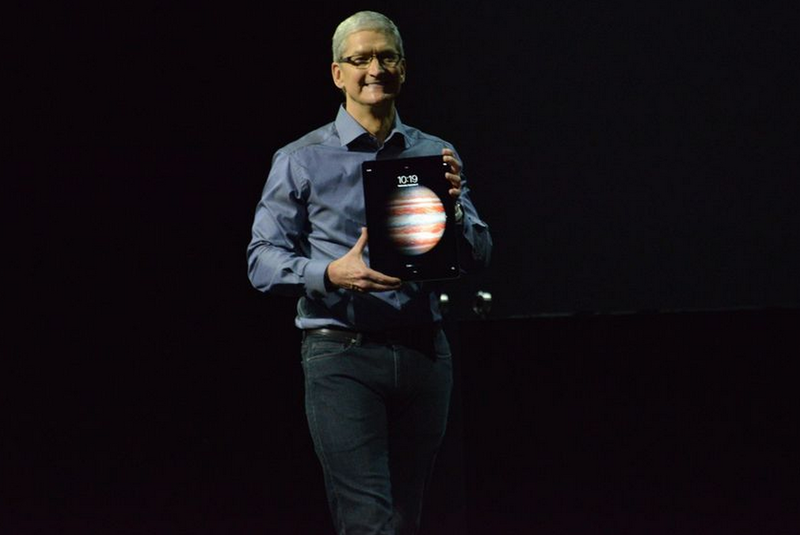 Apple now finally gives information regarding the availability of its giant 12-Inch iPad Pro. From November 11 people can buy the device across 40 country’s. The Sale of new iPad Pro will be first available through Online Apple store and will come to physical store later this week. Also the Apple pencil and Smart Keyboard will also be available on Wednesday. The new giant iPad Pro has a price tag of $799 for the base model, which ships with 32GB of internal memory. For $1079 buyers can opt for the model that rocks both Wifi and cellular connectivity and 128GB of memory. Its not the size which is the main feature of this giant iPad but what comes under the hood is impressive, iPad Pro packs a next-generation A9X chip that’s 1.8x faster than the A8,10-hour battery life, 8MP iSight camera, Touch ID and four speaker audio.